Kosova Airlines is an airline company, based in Kosovo’s capital Pristina. 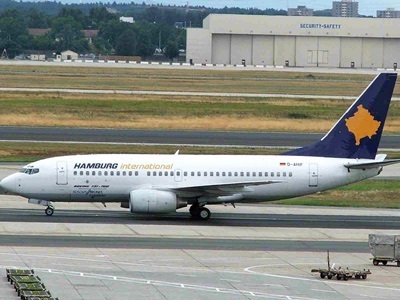 The flight company was founded in the year 2003 and flies mainly to Germany and Switzerland. Kosova Airlines has an important partnership with Eurokoha, which was founded in 1996. Kosova Airlines was established in 2003 by the Kosovo government and the United Nations. In that time, the U.N. controlled the Kosovo region. 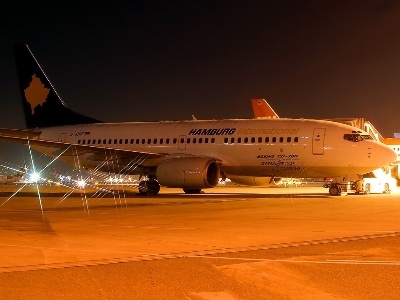 The company leased an airplane till 2006. Fun fact: the tail of this plane was painted blue and yellow and looked therefore a lot like the flag of the Republic of Kosovo. That is interesting, because neither the flag, nor the Republic existed that time. The company is proud of the collaboration it has with hundreds of agencies in the world and its good 24-hour-service. According to their website, Kosovo Airlines transport 400.000 passengers a year. The company says that they have developed with the support of partners Air Berlin and Germanwings. Other partners are Fly Albania, Germania, Pegasus and Edelweiss Air. You can book your flight to Pristina via FlyKSA. Kosovo Airlines flies to the following destinations from Pristina, Kosovo. Please note: the schedule might change during summer season (Update 02/2016). Munich, Germany (on Wednesdays, Fridays, Saturdays & Sunday). Stuttgart, Germany (on Wednesdays, Fridays, Saturdays & Sunday). Dusseldorf, Germany (on Wednesdays, Fridays, Saturdays & Sundays). Hanover, Germany (only on Saturdays). Basel, Switzerland (on Wednesdays and Saturdays). Geneva, Switzerland (only on Saturdays). Dusseldorf, Germany (only on Saturdays). Zurich, Switzerland (on Mondays, Wednesdays, Fridays, Saturdays & Sundays). Kosovo Airlines is not on facebook with their company name, but EuroKoha Reisen does (in Albanian). Interested in other Kosovar flight companies? Do you want to learn more about Kosovo tourism? really excited if you decide to send me some materials. Thanks in advance and I wish you success in future. I’m a collector of Polish. I have 62 years. I turn the hot asking me to send the model airplane and postcards and pennant your airline.The request is in addition to my large collection.Thank you for your understanding and send me a model airplane and pendant and postcards.Thank you very much. Sincerely, Marek Mirski. Best wishes for the new year 2016. I wish you successful flights. While as many arrivals and departures. Dear Marek Mirski. Thank you for your reply. We are just informing about flying to Kosovo, but we are not a flight operator. We hope that you can find the right contact information of the operator it self. Good luck!